Fashion retail giant Topshop has joined forces with Facebook for a unique event at London Fashion Week this Sunday. Working with engineers from the social networking site, Topshop is for the first time offering armchair fashionistas a ‘front row’ live-stream view of its catwalk event, giving viewers the chance to customize and even purchase garments and accessories worn by models as they appear on stage. It could well be the most intense shopping experience you ever have. Those who join the live stream will be able to switch the color of the clothes worn by the models, take screenshots to share immediately with Facebook friends with the aid of a special on-screen button, share video clips, buy the show’s soundtrack from iTunes and purchase garments and accessories worn by the models. Shoppers will be able to receive the clothes well before they appear in stores. 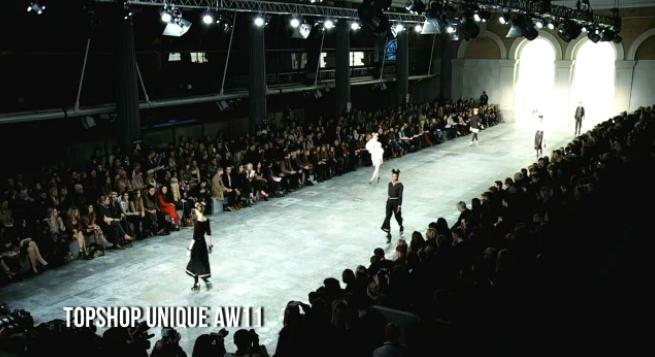 The live stream from London will be broadcast on the fashion retailer’s Facebook site as well as at Topshop.com. On top of that, the event is set to be shown on big screens at Topshop’s flagship store on Oxford Street in central London, as well as on the websites of over 200 of its media partners. The special event could prove to be a decent money-spinner for Topshop, as online shopping addicts and fashion lovers flock to its site on Sunday (10am ET) in search of a new kind of retail experience.